Product prices and availability are accurate as of 2019-04-22 02:27:47 UTC and are subject to change. Any price and availability information displayed on http://www.amazon.co.uk/ at the time of purchase will apply to the purchase of this product. 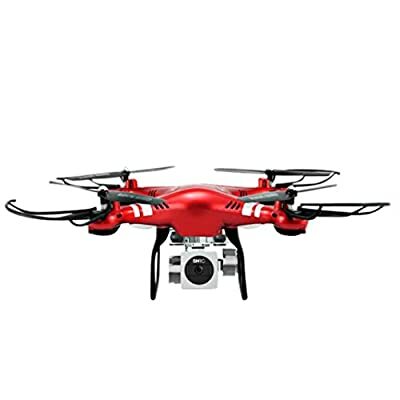 Upgraded WiFi FPV RC Drone - With 120 degree HD wide angle lens camera and 270 degree rotating camera,you can experience the "eye in the sky" with more wide vision. Free wifi-connection: You could connect the wifi with no need to use your mibile data. Function:Up / Down, Left / Right Sideway Fly, Forward / Backward, Headless Mode, 360 Degree Rollover, Turn Left / Right, One Key Automatic Return, Throwing Flight, Hovering control,One Key Hovering,LED, With 120 degree -wide-angle-lens camera, 270 degree Rotating camera Simple to Operate - With one key to take off and altitude hold function, you can control it easily. 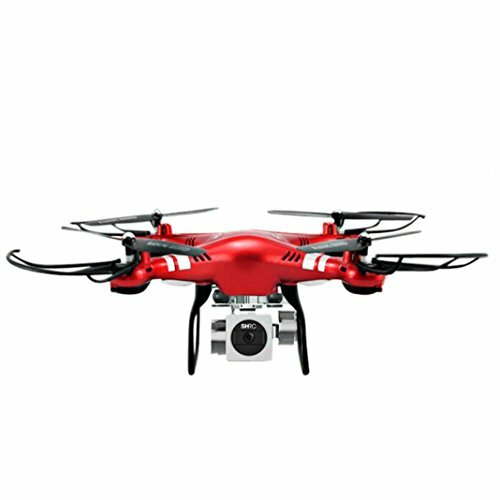 Headless Mode - With 360 degree flip,you can control you drone in headless mode and get picture or video from different vision. Pacakge Included: 1x Quadcopter 1x 1080P Camera (Wide-lens angle) 1x Remote Control 1x Screwdriver 4x Propeller Blades 4x Blade protection covers 4x Landing gears A 2x Landing gears B 1x Build-in quadcopter battery 1x Manual Upgraded WiFi FPV RC Drone - With 120 degree HD wide angle lens camera and 270 degree rotating camera,you can experience the "eye in the sky" with more wide vision.